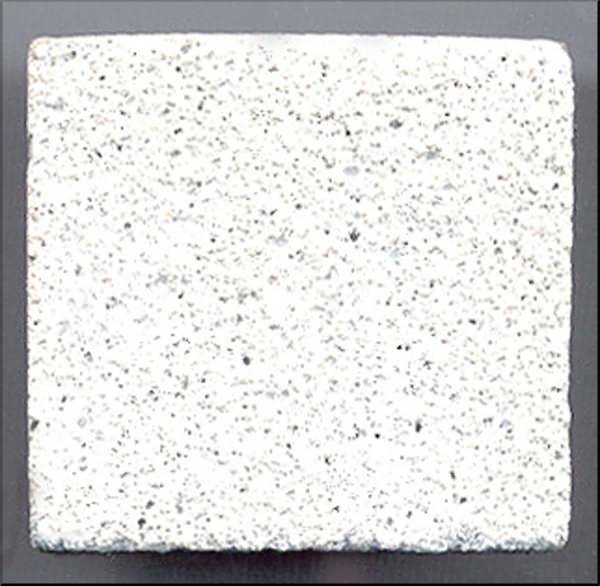 LITEBUILT® aerated lightweight concrete is created by inclusion of a multitude of micro air bubbles in a cement based mixture. This is achieved by mixing the concentrated LITEBUILT® Foaming Chemical with water and compressed air, generating foam therefrom. 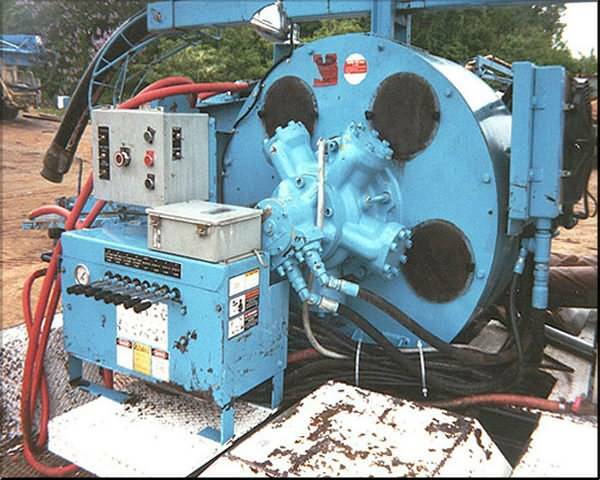 The LITEBUILT® Foam Generator is used to inject the foam directly into the concrete mixer which completes the process by mixing it with the sand / cement / water slurry. 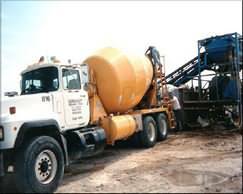 Most conventional ready mix or permanent concrete mixing facilitiescan be used for this task. LITEBUILT® aerated lightweight concrete behaves like ordinary dense weight concrete in most aspects, such as curing. Rapid and relatively simple construction. Low cost of LITEBUILT® aerated lightweight concrete, in comparison to other methods producing lightweight concretes. Good Thermal insulation properties give energy conservation advantages, which reduce operating costs (heating/air-conditioning). Handling & cartage costs greatly reduced. Weight reductions from 10% to 87% over standard dense weight concrete depending on mix proportions and materials. Significant reduction of overall weight results in savings in structural frames, footings or piles. Such savings are often the multiple of the actual cost of the material itself. Economical in transportation as well as a reduction in manpower. The use of LITEBUILT® aerated lightweight concrete in pre-cast or tilt-up construction enables a reduction in crane size and requires minimum labour for erection.  LITEBUILT® aerated lightweight concrete can be sawn by hand, sculptured and penetrated by nails and screws. The use of lightweight concrete in building is becoming increasingly extensive. The following are some of the typical applications principally in use at present. 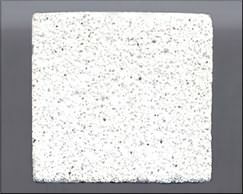 This material is used in roof and floor as insulation against heat and sound and is applied on rigid floors (i.e. in itself it is not a structural material). It is used for tennis courts and interspace filling between brickwork leaves in underground walls, insulation in hollow blocks and any other filling situation where high insulating properties are required. Used for the manufacture of precast blocks and panels for curtain and partition walls, slabs for false ceilings, thermal insulation and soundproofing screeds in multi-level residential and commercial buildings. LITEBUILT® aerated lightweight concrete of this density range is also ideal for bulkfill application. This material is used in precast panels of any dimension for commercial and industrial use, insitu casting of walls, garden ornaments and other uses where structural concrete of light weight is an advantage. A layer of foam concrete under ceramic tiles, marble paving, cement tiles etc. 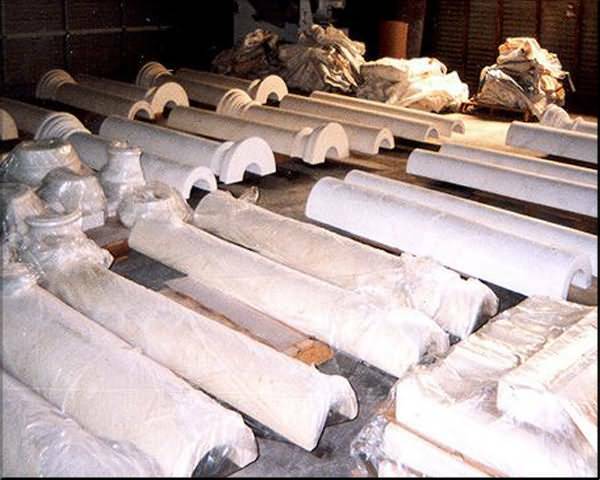 Generally a 500 kg/m³ (31 lbs/ft³) density is used, made from cement and foam only, in order to gain thermal and acoustic insulating properties and at the same time, to load the structure as little as possible. The minimum recommended thickness for such a screed is 40 mm (1½"). Before pouring the material onto an existing floor, the surface should be made wet, however care should be taken to avoid large areas of water, which will effect the moisture content of the foam concrete. This application is for floors covered with carpet, timber parquetry, vinyl tiles etc. As the paving material is directly glued onto the floor screed in many instances, the most suitable density is 1100 kg/m³ (69 lbs/ft³), using 2:1 sand cement ratio. The pavement is laid as described for rigid pavements, excepting that particular care is taken to trowel off the surface by hand or by mechanical trowel 24 hours after pouring. The ideal density for this purpose is 500 kg/m³ (31 lbs/ft³) made only with cement and foam. The value of K for heat transmission under these circumstances can be obtained from Table 3. The minimum thickness must never be less than 40 mm (1½"). It is recommended that the surface be wet before pouring without undue water lying on the surface. For such use, the normal density is about 400 kg/m³ (25 lbs/ft³) made from cement and foam only. The cavities should be filled in successive stages, doing no more than 600-700 mm (2 ft) at a time, allowing at least 12 hours between each pour. LITEBUILT® aerated lightweight concrete is an ideal material for producing lightweight masonry blocks, eliminating the need for autoclave curing. The density which is used usually varies between 600 kg/m³ (38 lbs/ft³) and 1100 kg/m³ (69 lbs/ft³) depending on the mechanical strength that is required, or alternatively, the desirable amount of thermal insulation. PANEL CASTING The normal density adopted for this type of usage varies between 1200 kg/m³ (75 lbs/ft³) and 1600 kg/m³ (100 lbs/ft³). The density chosen is usually dependent upon the strength required, the dimensions (ie thickness etc). Where sandwich panels are used, employing dense weight concrete as well as LITEBUILT® aerated lightweight concrete, it is advisable to cast the normal concrete into the mould first and follow immediately with the foam concrete, so that the bond between the two materials is homogenous. Two main mixtures account for the majority of aerated lightweight concrete construction. While the cement mixer or premix concrete truck is in motion, the water and cement are introduced and allowed to mix until a thoroughly consistent mixture is achieved. 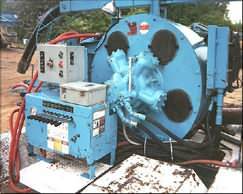 When this has taken place, the required amount of foam can be injected into the mixer and the mixing continued until the foam is completely enveloped into the total mix. The mixture is then ready for discharging into the moulds or wherever it is to be placed. The proportion of cement, water and foam for mixtures of various weights can be obtained from Table 1. Note: Although it is possible to have neat cement mixes, the addition of some sand (about 25%) is recommended in order to prevent the formation of lumps. In this situation the water, sand, cement are added to the mixer in that order and thoroughly mixed into a homogenous mortar before adding the foam. The components of the mix are outlined in Table 1. Because of the lightweight matrix formed by the mixture of cement, water and foam, lightweight aggregates can be used without the tendency to float when the mix is vibrated. Typical aggregates which are used are:– expanded shale or clay, scoria, pumice, vermiculite or flyash. The inclusion of such material is only recommended if it is locally available as its procurement from afar often results in a higher cost of the final product. Moreover, it often increases the density if a certain compressive strength is required. 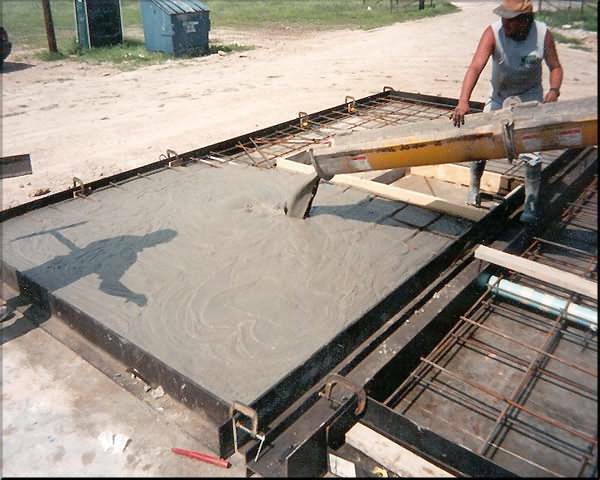 The addition of up to 10% LITEBUILT® Foam into a normal dense-weight concrete mix. Increasing the slump so that the water : cement ratio can be reduced. Allows early trowelling of the surface. Difficulties in pumping are eliminated even in hot weather. Improving the resistance to freeze-thaw attrition. Even though the reduction in water: cement ratio produces an increase in strength, it is usually necessary to slightly increase the cement content of the mix to maintain the specified compressive strength. Specific mix details, densities and strengths can be supplied if required. The amount of water to be added to the mix depends upon the moisture content of the sand, but as an average figure, 40-45 litres (85-96 pints) of water is used for every 100 kilograms (222 lbs) of cement. Additional water is added as a content of the foam, thereby bringing the total water : cement ratio up to the order to 0.6. In general, when the amount of foam is increased, as for lighter densities, the amount of water can therefore be decreased. The water : cement ratio should be kept as low as possible in order to avoid unnecessary shrinkage in the moulds, however, it should be remembered that, if the amount of water added to cement and sand in the first instance it too low, the necessary moisture to make a workable mix will be extracted from the foam when it is added, thereby destroying some of the foam which is naturally an expensive way of adding water to the mix. Tests should be carried out on any particular mix which is required so that the resulting cellular concrete will have a flowable, creamy consistency. LITEBUILT® AERATED CONCRETE LITEBUILT® Foam has an extremely strong bubble structure and can stand pumping to unusual heights without loss of entrained air. The most suitable pump for this purpose is a "squeeze" type pump. In some situations a screw feed pump is also satisfactory. The water absorption of LITEBUILT® aerated lightweight concrete is low, due to its closed cellular structure. Since many of the properties of aerated lightweight concrete depend upon the successful process of curing, outlined below are some of the methods whereby its strength can be increased. This is probably the easiest and most popular method of curing. It is a slow, but acceptable system which enables a turn around of moulds every 24 hours on average, depending on the ambient temperature. When precast aerated lightweight concrete panels and slabs are made under factory conditions in order to obtain a relatively fast turn-around of moulds, it may be economic to induce an early strength into the concrete by applying heat from steam to the underside of the moulds. This causes a rise in temperature in the concrete and a resulting increase in strength. The reason for steaming from the underside is to avoid the increase in temperature creating small cells of compressed air with sufficient pressure to fracture the cement shell around the cell. Due to the weight of concrete above the lower layers this does not take place and by the time the temperature increases on the upper face, the cement has already acquired sufficient strength to resist the cells exploding off and giving a rough surface to the slab or panel. 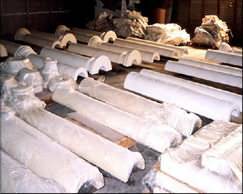 Depending upon the type of cement used in the mix, steam curing is not begun until at least five hours after casting, and even then the increase in temperature is well controlled and should not exceed 70°C (160°F). The extent of steam curing depends upon the climate but as a general rule it can be subdivided into 2 hours required for raising the temperature, 4 hours maintaining the temperature and 2 hours lowering the temperature slowly to avoid thermal shock. The compressive strengths of LITEBUILT® Aerated & Lightweight Composite Concrete is influenced by many factors, such as density, age, moisture content, the physical and chemical characteristics of component materials and mix proportions. Hence it is desirable to keep the mix proportions, type of cement and sand or other fillers as well as the method of production constant. A relationship exists between the density and the strength. Any change to the factors mentioned above could vary that relationship quite markedly. 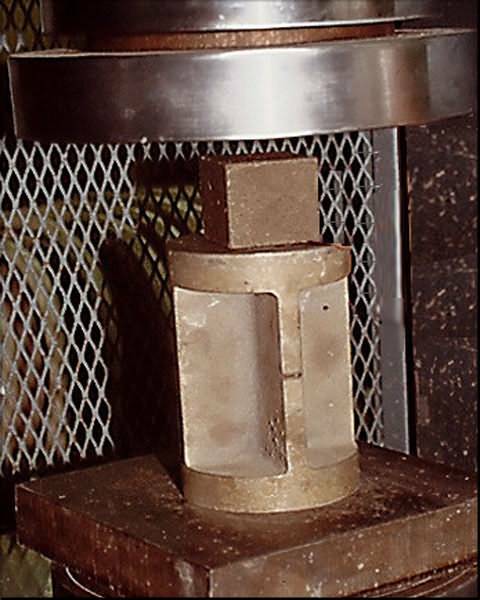 The compressive strength can be significantly increased through effective and special curing methods. Moist curing has a profound effect on increasing compressive strength. 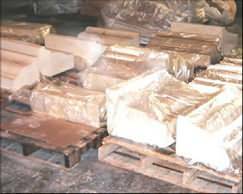 For products such as foamed concrete building blocks, it is advisable to cling- or stretch-wrap the pallets, thus assisting in the moisture retention for longer. Steam curing is another option, if curing time is crucial. LITEBUILT® aerated lightweight concrete has a virtually linear increase in compressive strength over the first 12 month, unlike dense weight concrete which levels out much earlier. Compressive strength will continue to increase indefinitely due to the reaction with CO2 present in the surrounding air. Again, the significant difference is that LITEBUILT® aerated lightweight concrete has a higher rate of curing than dense weight concrete. Where the level of compressive strength is critical, methods of accelerating the natural CO2 curing process are available as part of our LITEBUILT® range of products. There are various methods and it can be applied in particular with factory produced building elements such as blocks and panels. Depending on the method of curing, the tensile strength of foamed concrete can be as high as 0.25 of its compressive strength with a strain of around 0.1% at the time of rupture. Generally the shear strength varies between 6% and 10% of the compressive strength. Shear reinforcement is seldom required in flooring and roofing units. LITEBUILT® aerated lightweight concrete, like all cement materials has a shrinkage phenomena during the setting stage. The amount of shrinkage is dependent upon various factors e.g. type of cement, type of curing, size, and quality ofsand,amount of cement in the mix, density of foamed concrete, as well as the water : cement ratio. The greater extent of shrinkage occurs during the first 28 days, after which time it is negligible. During the first 28 days, if the conditions of manufacture of the foamed concrete are well controlled, shrinkage can be kept under 0.1%. This fact is of particular importance since cracks in walls – often caused by foundation movements – are regularly blamed on concrete shrinkage. If a crack occurs beyond the initial 28 days after the concrete was poured, it is virtually impossible that this is due to shrinkage. The coefficient of linear expansion for LITEBUILT® Aerated Concrete is of the same order as that of normal concrete, i.e. 0.000009 per degree centigrade (0.000005 per degree F). This factor becomes important when using LITEBUILT® aerated lightweight concrete on large areas of roof slabs, which are exposed to heat and cold. 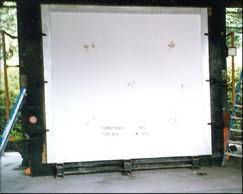 LITEBUILT® aerated lightweight concrete has a high sound absorbtion capacity. 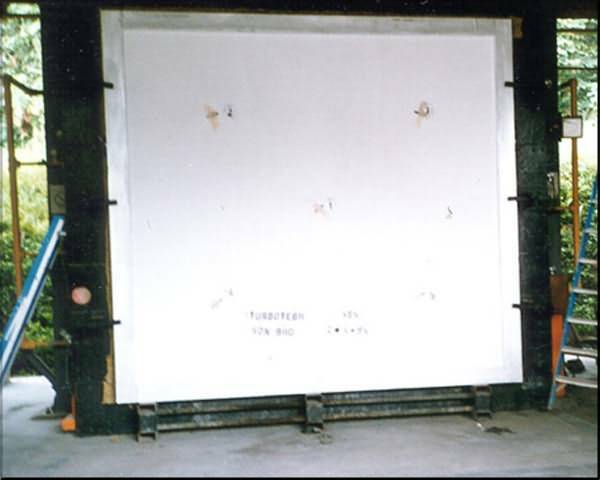 In general,dense weight concrete tends to deflect sound whereas LITEBUILT® aerated lightweight concrete absorbs sound. Sound transmission, however, on conventional walls, over most of the audible frequency range may be higher by 2-3% when compared to dense weight concrete. This slight disadvantage is in most cases academic, since most walls are either rendered, painted or both. This in turn will make a wall deflect the sound as does dense weight concrete. Low frequency noise on the other hand is being greatly absorbed by LITEBUILT® aerated lightweight concrete, thus it is often used as an insulating layer on structural concrete slabs to restrict noise transmission from floor to floor in multi level residential or office buildings. Thermal insulation is one of the outstanding characteristics of LITEBUILT® aerated lightweight concrete Lightweight Concrete. Due to its cellular structure, LITEBUILT® aerated lightweight concrete offers a very low transmission of heat. This means that in most cases the use of supplementary insulation in floors and walls is unnecessary. The high insulating value of the material becomes important as energy is saved by cutting both heating and air conditioning requirements, giving greater comfort in a wide range of climatic conditions. Table 3 shows the relationship between the thermal conductivity and various densities. LITEBUILT® aerated lightweight concrete's thermal performance greatly reduces the occurrence of condensation from atmospheric humidity, arising as the result of changes in ambient temperature. In many parts of the world, new homes are required to have insulated walls and ceilings in order to conserve energy. Table 4 indicates the superior economics of using cellular foamed concrete over other insulating materials commonly used. 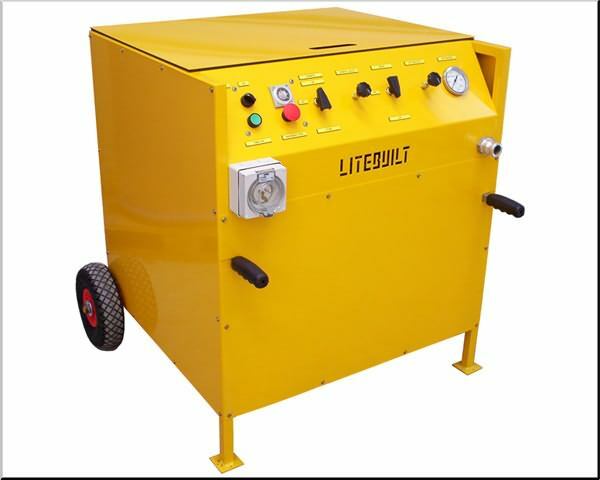 LITEBUILT® aerated lightweight concrete is extremely fire resistant and thus well suited to fire rated applications. 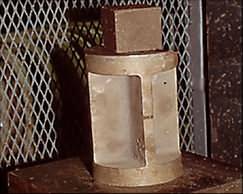 Furthermore, the applicantion of intense heat, such as an oxy torch held close to the surface, does not cause the concrete to spall or explode as is the case with normal dense weight concrete. The result of this is that the reinforcing steel remains cool and protected for a much longer period. Tests and certificates from various authorities indicate that 150 mm (6") of LITEBUILT® aerated lightweight concrete achieves in excess of a four hour fire rating. The requirements for some specific authorities for 4 hour rating indicate: – Italy 133 mm (5¼") – New Zealand 133 mm (5¼") – Australia (EBRS-Ryde) 105 mm (4¼"). All tests, both in Australia and internationally, indicate that LITEBUILT® aerated lightweight concrete is greatly superior to normal concrete. Even at reduced thicknesses LITEBUILT® aerated lightweight concrete will not burn, spall or give off toxic gases, fumes or smoke. The cellular structure of LITEBUILT® Aerated Concrete requires specialised fasteners for the attachment of both structural framing members and non-structural fittings. Metal sleeved expanding anchors are not recommended as they may become loose due to their design characteristics. Detailed in this section are recommended fasteners for a variety of applications. The choice of fastener is dependent on the nature and the requirement of the application, and the desired finish. The following information has been supplied by the various approved manufacturers and may be purchased through their authorised outlets. Determine live and dead load requirements. Select fastener diameter and required embedment appropriate to capacity required. Fastener lengths are determined by fixing thickness and manufacturers recommended embedment into LITEBUILT® Aerated Concrete (Plasterboard would be considered as a component of the fixing thickness). All drilled holes in LITEBUILT® Aerated Concrete should be made using high speed twist drills suitable for steel or wood, (masonry drill bits should not be used). When using hammer – drills the hammer mode should be turned OFF. Edge distances and fastener spacings should conform to the manufacturers recommendations, care should be taken with regard to the orientation and direction of expansion. Hole depth should be considered taking into account the manufacturers recommended embedment with an additional allowance for debris accumulation. Fastener head styles should be selected to provide the desired appearance, normally a countersunk head style for fixing timber fixtures and a hex head style for metal sections. This category includes fasteners that do not rely on expansion for a friction based gripping action. Where the anchor possesses some "undercut" properties they may be classified as "mechanical" fasteners. Selection would depend the nature of the application and reference should be made to your fastener supplier. 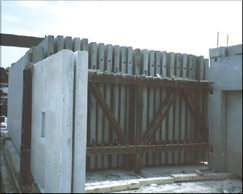 Position door frames plumb and square at desired locations, assemble LITEBUILT® Aerated Concrete block walls securing the rear of the jambs with approved block ties. 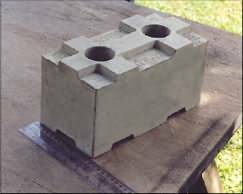 Fix timber jambs to LITEBUILT® Aerated Concrete block work using approved frame – fixings as per manufacturers instructions. To ensure a stable fixing it is recommended that full width packers, to suit the width of the jambs, are used. Attention should be given to the direction of expansion when fixing into 100mm or 150mm LITEBUILT® Aerated Concrete internal walls. Fixings should be located above door hinges for additional support. Pack window frames as required and fix with appropriate fasteners. Gaps between the frame and the blocks should be filled with expanding foam to provide draught, noise and heat resistance. Subject to design, aluminium window frames may be available in different profiles. Should the windows have an attached timber reveal, use the same methods as timber windows. Some residential window frames have an attached "fin "that may be inserted into pre-cut slots made in the LITEBUILT® Aerated Concrete block opening, some manufacturers have a special block tie that attaches to the "fin" which is placed between block courses. Commercial aluminium window frames may be fixed through the glazing recess providing that the fixing head size is suitable. It is also recommended that a paintable silicone caulk be used to seal between the LITEBUILT® Aerated Concrete blocks and the aluminium window frames. Fastener selection depends on the required load capacity. A general guide would call for the fastener selection to be based on the load requirements, the manufacturers recommended embedment, the cupboard or shelf fixing thickness, with an allowance made for plasterboard or other wall finishes, and the desired head style. Appearances may benefit by selecting a fixing with optional snap-on plastic cover caps. Due to the large number of variations in design, it is recommended that fastener selection information be sought from your supplier.